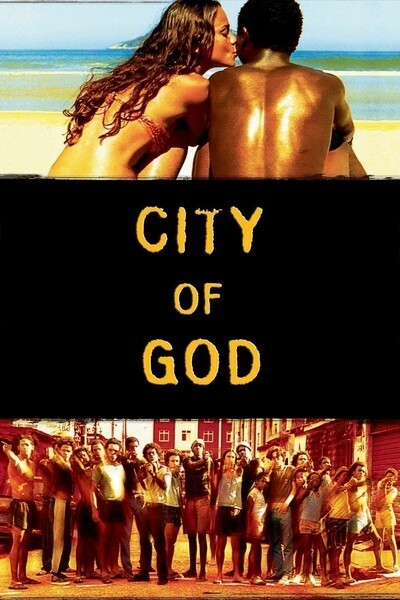 ‘City of God’ (Cedade de Deus) is a Brazilian movie that brought instant fame to the newcomer Fernando Meirelles. 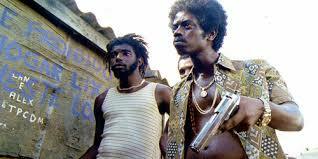 It’s a fast paced and gritty story about slum gangs that is set in the favelas of Rio. God’s own city that should be city of peace and prosperity ironically is rife with violence, gang wars and brutality. 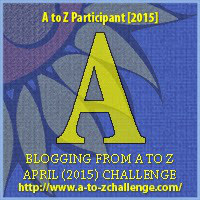 Therefore one of the characters right say, “Why return to the city of God, where God forgets about you? 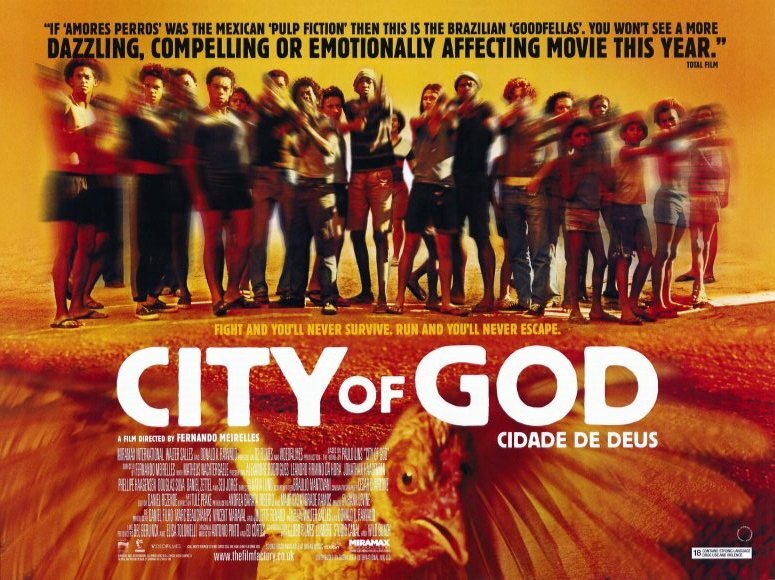 It is based on the novel by Paulo Lins who escaped the slums to write the book, which is loosely based on the life or Wilson Rodrigues, a Brazilian photographer. 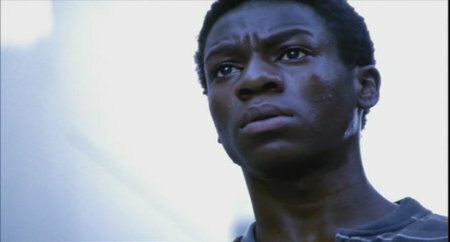 The movie portrays the struggle of young adults in their teens, one to remain in the slums and yield his power as a gangster and the other to escape the harsh realities of his neighborhood to carve to out a new prospect for himself. 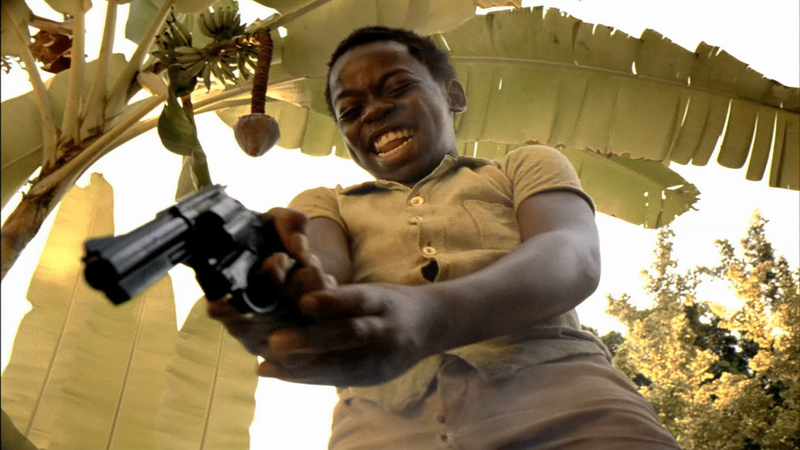 It’s a story of kids who know no better than what they see like gun slinging hoodlums hailing from their own families, mindless blood shed and trying to keep afloat amidst gang antagonism and police brutality and treachery. 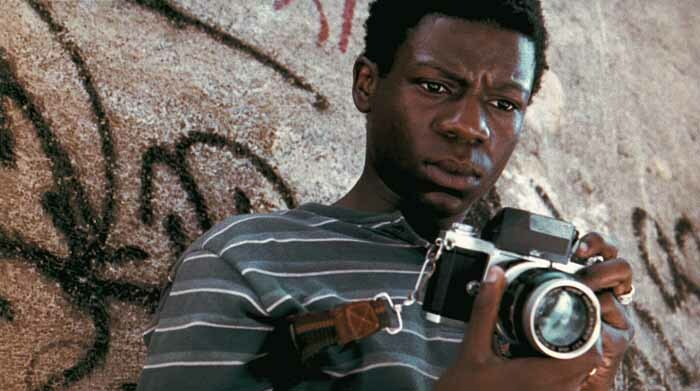 One of them called Rocket gets a camera, albeit stolen, in his hands and he becomes a chronicler of the gang and its members, which becomes a life-changing course for him. The story is narrated from Rocket’s perspective of a precinct where poverty has undermined any human way of life, where all social structures and norms have crumbles, where the gangs rule and the death rate is so high that the leaders are much younger than we can imagine. Ironically Rocket’s position as a street kid helps him to take photographs that the local newspaper laps up. He thinks “This is my death sentence” but funnily enough the leader of the gang is pleased by this publicity and thinks that he can use Rocket’s gift to propel the gang into name and fame. In one such gang related wars he is able to capture policemen killing a gangster to pass off as gang related violence. This immediately hits the audience as not a mere story but a pulsating reality in the poverty stricken favelas. Though Buscape or Rocket, is in a dilemma as to whether he should expose the policemen or just publish the bullet ridden body of his friend and gang leader. From childhood, Rocket’s survival instincts are strong and he chooses to take the path that would not put him any immediate danger. 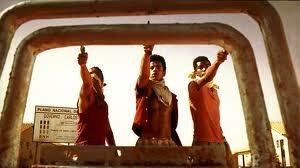 ‘City of God’ catches the eyes not just because of its story but also because how well shot the movie is. The camera moves and brings out the different grimy shades of the characters living in these slums where lawlessness thrives. It brings out the helplessness of people who want to move away from blood and life of crime yet is inexorably pushed into it because they have only know this life and are good at it. The movie in no way exaggerates or underplays the situations nor does it have any great romantic side stories to appeal to the senses. It is just an honest depiction of a place and people from the perspective of a knowing eye who under all odds made a life away from gang wars, yet used gang wars as his tool.